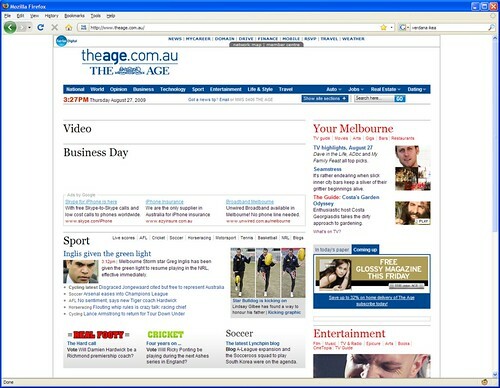 Either someone broke The Age’s web site, or there’s just no news worth reporting. Or maybe it’s a Fairfax cut-back? They could just get a robot to copy and past from the New York Times two weeks after the story has run like they do now. Or just automatically post wire and Guardian copy as wrote, whoops! That’s what they do now!